Inspiring book at any age. 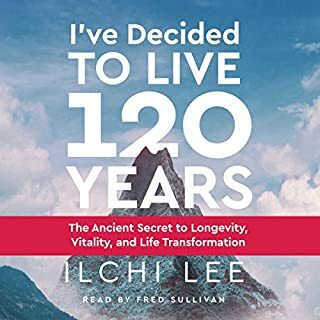 I’ve decided to live 120 years is a book about what it means to live your life for something greater than just your own personal fulfillment. We all reach a point where the success driven narrative of our society fails our inherent desire to feel fulfilled. It happened to me when I was 27, and even though I had everything I needed in my life, I felt an emptiness I couldn’t fill with family, friends, or school, or work. This book is one of many that helped me realize the value of my life beyond the desires for partnership, family, a good job, etc. I learned about my desire for “Hong Ik,” my desire to widely benefit others, including my family, my community, and the earth.